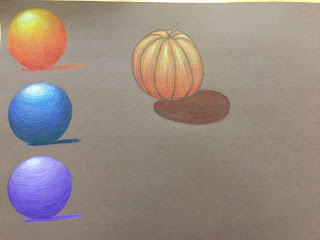 In this exercise we practiced shading objects in color using Prismacolor colored pencils. The spheres were the easiest because there was only one spot that the light source hit and you didn't really have to figure out how the value changes as the shape changes. The pumpkin and pear were a little harder to shade because it's hard to tell how the value changes especially on the pumpkin. 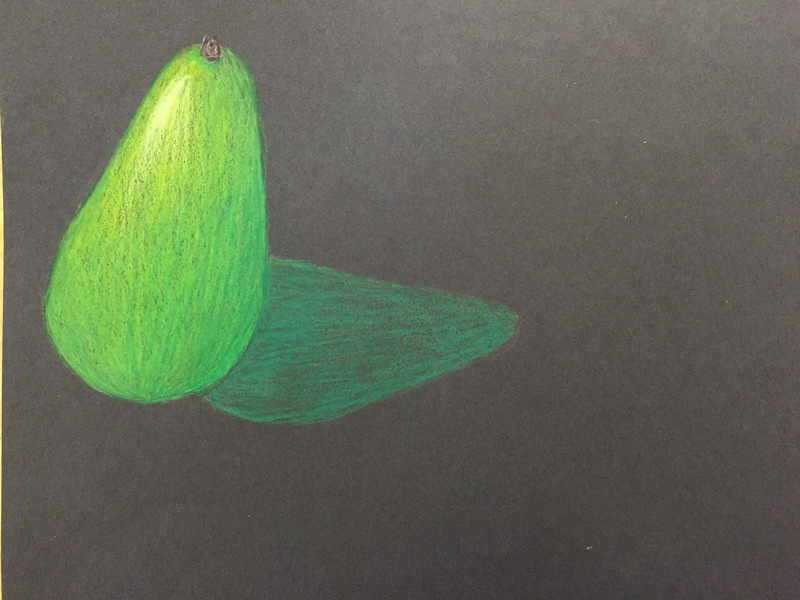 Also I think I could use a little more instruction on what colors to use for the shadows and how to layer those colors because I'm not happy with my shadows. Overall this exercise was very insightful on how to add color.